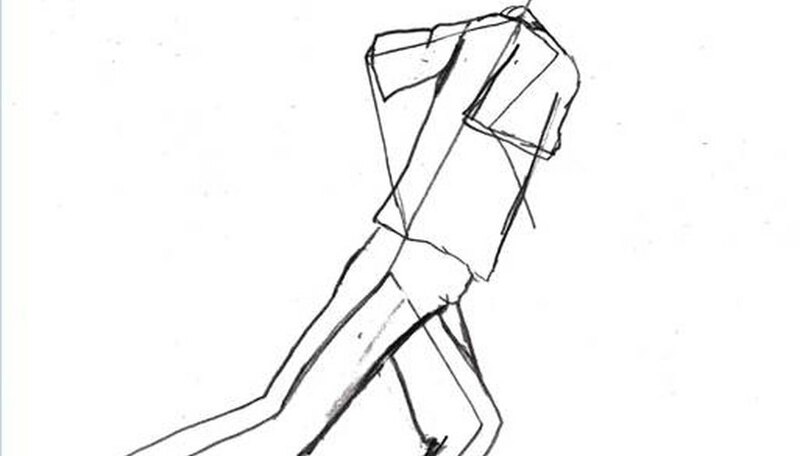 Soccer players are usually moving, so a drawing of a soccer player must also show movement. This is best accomplished by drawing a stick figure frame to build your finished drawing upon. Using this strategy, clothing and details can be quickly rendered while still showing action. Here is how to draw a soccer player kicking a ball across the field, though this method may be used for drawing any person in action. Draw a stick figure. 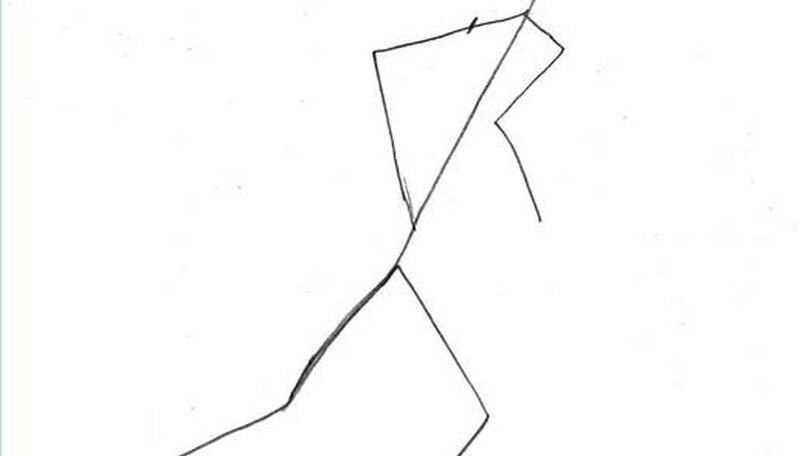 Draw the front leg as a 'v' shape extending from the body. Make a straight line coming from the leg for the foot and end it as a 'v' shape for the bend in the ball of the foot. The back leg should extend behind the body with a slight bend in it. 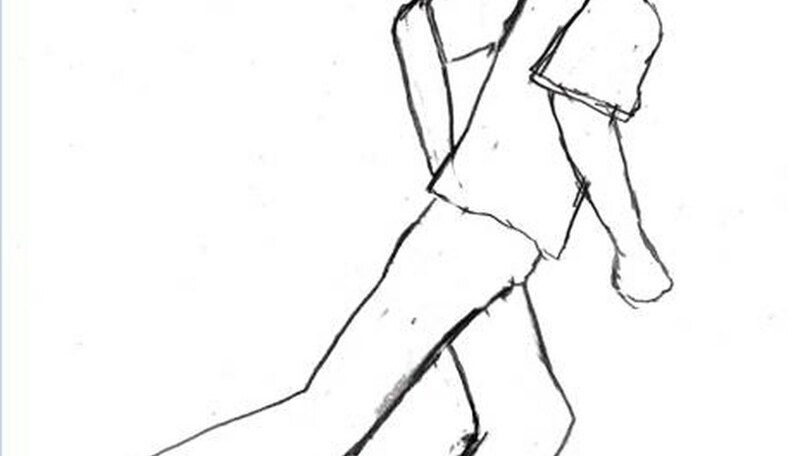 The foot should be a straight line extending from the leg. 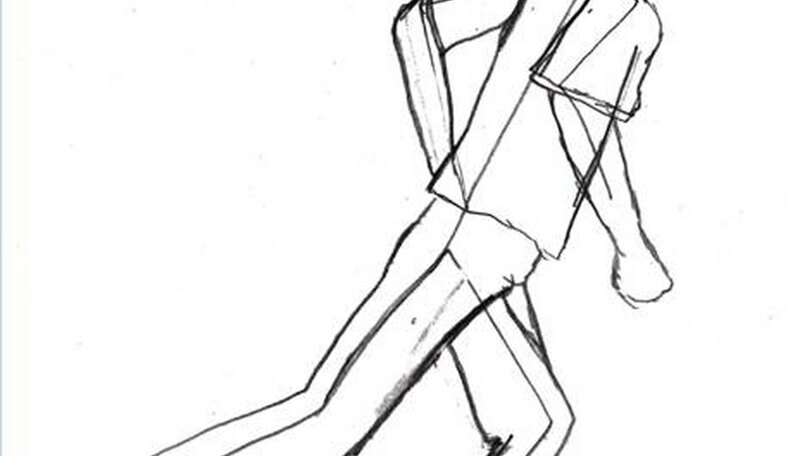 Draw the arms as 45-degree angles coming from the trunk. Draw clothing onto the stick figure. The curves of the clothes should be drawn away from the stick figure lines, but still follow their shape. Draw the sweat pants baggy around the legs and ankles. Draw the details, such as the face, hair, arms and hands. The arms should be drawn much like the clothing. Imagine the stick figure as bones, and draw the arms tapering around the lines. The fists are drawn as spheres with ridges along the knuckles. Erase the stick figure lines and draw a circle by the front foot for the ball.